Lenovo’s flagship Chromebook C630 falls into a bit of a niche market due to its relatively large 15.6″ convertible form-factor but as a laptop, it is a formidable opponent to comparable Kaby Lake devices from the other big OEMs. As far as features vs. value, the Lenovo is a solid buy if a massive convertible is on your wish-list but I’m still on the HP bandwagon for best flagship up to this point. That, of course, could change when I get my hands on the ASUS C434. Again, the Lenovo is a great, overall Chromebook and those looking for the biggest display available on a premium Chromebook will have to look to the Yoga C630 and that’s not a bad choice at all. At initial release, Lenovo offered the C630 Core i5 model exclusively via Best Buy while selling the lesser Core i3 version directly from their own site. 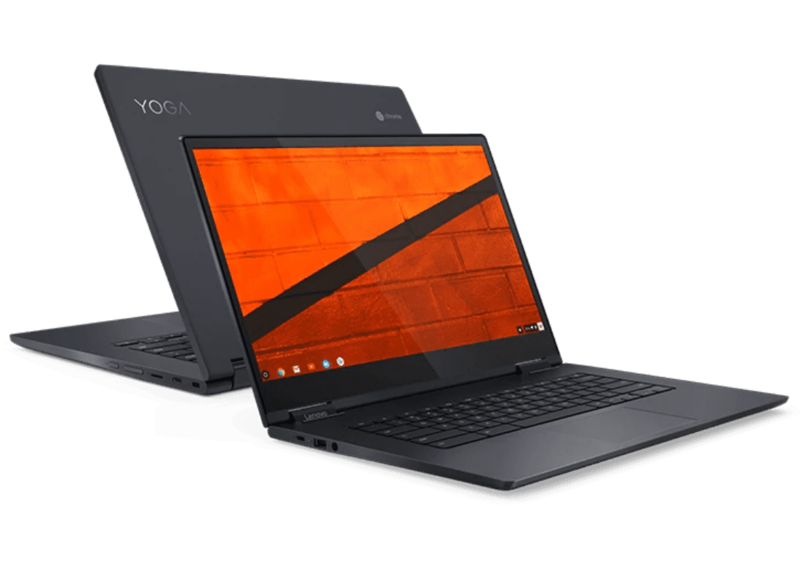 Lenovo is selling both configurations of the Yoga Chromebook in their store and right now, you can save some significant cash on either one of them. After some extended time with the HP, I can definitely say there isn’t a lot of advantage to be gained by purchasing the Core i5 over the Core i3. Thanks to a significantly higher clock speed, the Core i3 benchmark scores get close enough to the Core i5 to condone saving a few dollars on the “lesser” processor. The plus side of the Core i5 Lenovo is the added storage. If you are a user that prefers to have more native disk space, you’ll double it to 128GB with the Core i5 model. The choice really boils down to personal preference and how much money you want to spend. Lenovo is knocking $50 off the Core i3 model and $100 off the Core i5 making them $549.99 and $619.99 respectively. Each model has a unique coupon code that should be applied automatically to your cart. You can see them both, side-by-side at the link below. I will forewarn you, both of these Chromebooks are listed as having backlit keyboards. User comments on our site as well as Lenovo’s product listing say otherwise. Lenovo has yet to update the listing or give a concise answer as to the issue. If you don’t care about keyboard illumination, these are both great deals.